Parents in San Diego know we are beyond blessed to be raising our kids in this awesome piece of paradise. 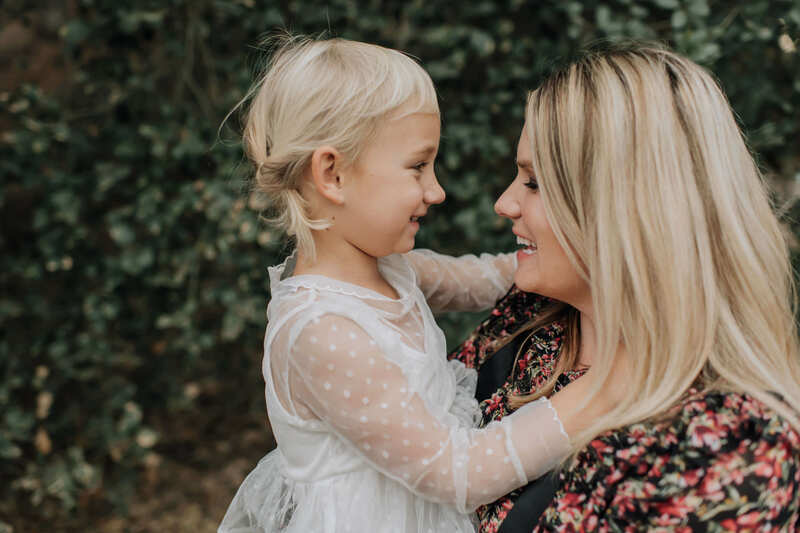 Our day to day lives closely resemble most people’s vacation where Sea World is a post-nap time-killer till Daddy gets home and the World Famous San Diego Zoo is where Mommies meet up for a morning stroll. From sun up to sun down the possibilities for amazing adventures and eats with your kids is endless. With so many tiny tourist attractions San Diego draws a lot of family tourists. As a result, you’ll probably be hard-pressed to find a restaurant that is unfriendly towards kids. But today, I don’t want to talk about any old restaurant that simply has crayons and high chairs, or the ones you would only go to because you have kids, I want to talk about the holy grail of kid-friendly restaurants. The ones where you actually eat your entire meal without having to fuss and worry over the kids. I’ll keep it seriously short and sweet with a simple treasure map of amazing options for dining out with kids. Let’s look at trendy restaurants where successful dining out with kids is a sure thing. Station Tavern is especially awesome if you want to eat outside. Picnic table style seating there are little frills to this place buttons of charm. In my opinion, everything not only looks better but tastes better under some twinkly lights. The people are great because they are mostly locals meeting up with their friends for a beer while the kids run around. We always drop someone off to snag a table while the other looks for parking. Standing around waiting for a table is likely but who cares because you have food and drink and your kids are off playing in the train car. BO-Beau is totally worth the drive out to La Mesa. When you want to eat outside but it’s too chilly coastal, head out to BO-Beau and you’ll most certainly be in tons of sunshine and 10’ warmer temps. The school bus is a massive draw for the kids. If you call ahead you can reserve a table right by the school bus so parents can enjoy the entire meal with their kids in sight. The village of La Mesa is also filled with little shops and antique stores well worth a peek into after dinner. This is probably the nicest restaurant on the list so keep that in mind for price and restaurant behavior. Waypoint Public seriously steps the kid-friendly restaurant up a notch with actual enclosed kids play area in their restaurant. If you are tired of being “that parent” who hands their kid an iPhone halfway through dinner (guilty! ), this is definitely your spot. And worst case, hand them that iPhone in the play area instead of at the table! I don’t know how this place hasn’t been really discovered yet. Every time I bring friends here no one knows it exists! It has a great mix of indoor and outdoor seating and rarely has I ever had to wait for a table without a reservation. Dining at the restaurant with kids looks like this: Sit at the table, take kids order, send them over to the grass to play, wave kids when the food arrives, excuse kids when they are done eating, order 2nd drink. Now keep in mind, you have to have a young adult old enough to be able to supervise the kids on the lawn so grab your preteen niece or nephew and their best friend and you’re set for a great evening. Even if your kids are too young to use the lawn during dinner, they’ll still be entertained with the boats and running around after. Stone is a great place to have the kids tags along if you want to meet up with friends. There are a handful of items on the menu I like but nothing I really love. The menu can be challenging for kids if they aren’t foodies so avoid bringing them starving and check out the menu link above. The key to success here is getting a good table for maximum kid freedom. I don’t like to give my toddlers free reign to run around the grounds beyond an arm’s length so I always seek out a table that is a little more private so the kids can explore within an appropriate radius. 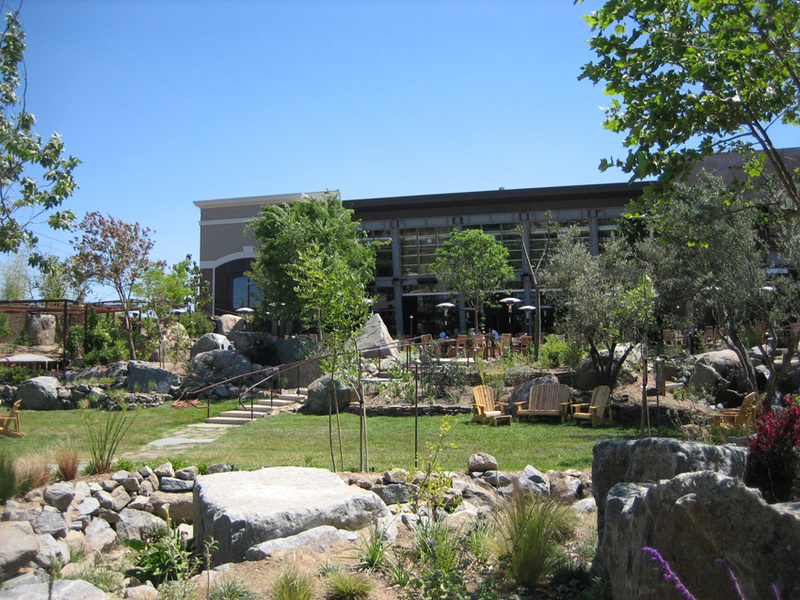 The original Stone Brewery is definitely worth a trip up to Escondido! A massive (and not just by restaurant standards) outdoor garden oasis that is totally enclosed and the kids can run around to their heart’s content while you sit back and enjoy your food and drink. We head out to the WaveHouse when we want to be at the beach without doing a whole beach day lugging all our gear and getting in the water. We’ll walk through Belmont Park with the kids and let them get in on all the boardwalk style fun and then head to the WaveHouse around the corner. The food is your basic bar & grill style and nothing special but the very relaxed environment is perfect for kids. Kids of all ages are thoroughly entertained watching people ride the waves or even playing in the sand at your feet. If you have older kids with you they can play sports on the beach while the grownups sit by the bar and watch over the kids or heck, if they are local they probably know how to surf so sign them up for the barrel. Note: Check the schedule before because you don’t want to head there on a day there is an event that is full of party mode bikini-clad college co-eds. Stopping in at Wow Wow is a favorite for meeting Mommies and kiddos for lunch. This little-hidden gem has a seasonal menu of sweet and savory waffles that are to die for. The kids love bringing our refillable big mason jar and getting delicious lemonades along with yummy waffles. With open seating, there is no need to try to confine the kids to a table and it’s totally acceptable for them to entertain themselves playing with their favorite toy or two away from the table. People have been dying for a restaurant like this in Balboa Park. After a morning at the zoo, in a museum or just exploring we always work up an appetite but often forget a picnic and just want to keep it simple and eat before we hop in the car, enter Panama 66. Enclosed with the restaurant is the sculpture garden on a big lawn where the kids can really roam free, I highly recommend the couch seating for a prime view of the lawn but watch out for the water features if you have curious toddlers. As long as you keep in mind that it’s a sculpture garden and not a park (no climbing, no Frisbees) the kids are welcome and encouraged to explore. There is always an open table for kid-friendly eating out in San Diego. I know we’ve left off dozens of great places but I’m not ready to let the cat out of the bag on all the best spots just yet…I don’t want to lose my tables everywhere! Rather than staying at home and ordering in or slaving away in the kitchen get out and enjoy this city we pay so much to live in. Already my fellow parental foodies, what are you go to dining out with kiddos spots? Share your comments below! I disagree with the stone liberty station recommendation. They were totally rude to us and our kids. It would be one thing if that were tongue-in-cheek, but the attitude sends a very clear message. What a bummer! Everything else in Liberty Station is so kid friendly its a shame they are turning off such a large segment of their audience. Hate to hear multiple parents aren’t enjoying themselves like we are. Angela, sorry to hear that. We have only had pleasant experiences there so it’s a bummer to hear someone else’s experience wasn’t on par. Yes! We have been wanting to go there with the kids. Great addition to the list. This list is extremely helpful! We are visiting San Diego next week with our high energy 2 year old who struggles to stay seated during meals. Good to know we might be able to relax for a few. Thanks!! Glad it’s helpful Heather! Don’t forgot to check out our Instagram with high energy 2 year olds doing lots of local fun. I can’t believe Bestawan in Cardiff isn’t on here. The kids love playing with the hoola hoops and running around the old Bestawan house. Food is great too! 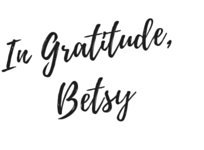 I love when I get readers adding more recommendations! I’m definitely going to have to try it out. Thanks for the tip! This is a great list! 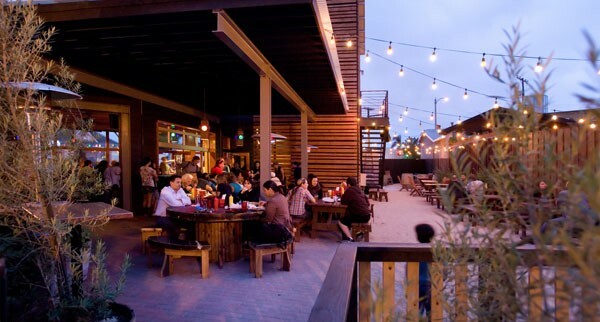 Helix Brewing in La Mesa is super kid friendly with outdoor seating, food trucks, board games and corn hole as well as live bands most Friday and Saturday evenings. We also love ChuckAlek in North Park (with adjacent Tostadas, which delivers to ChuckAlek, or any food you want to bring in), toys and lots of outdoor space for kids to run around. Oh Helix Brewing sounds awesome, I’ll have to try it out! We absolutely adore The Station!!! It’s kid and dog friendly, incredibly relaxing when an on the go family like mine want to just eat without slaving away. Highly recommend the Train Wreak Tots!! !